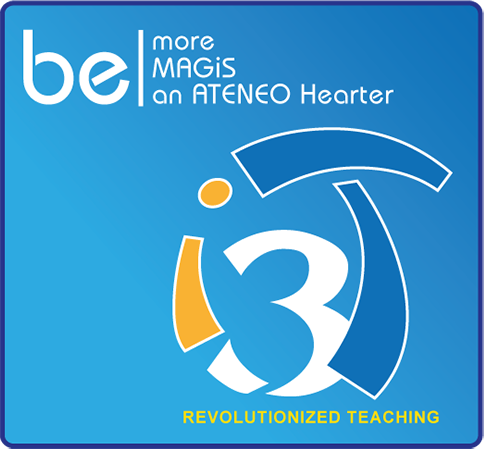 Welcome to the Junior High School Department of Sacred Heart School – Ateneo de Cebu. High school continues to build the abilities and talents of the students nurtured since they were in grade school. 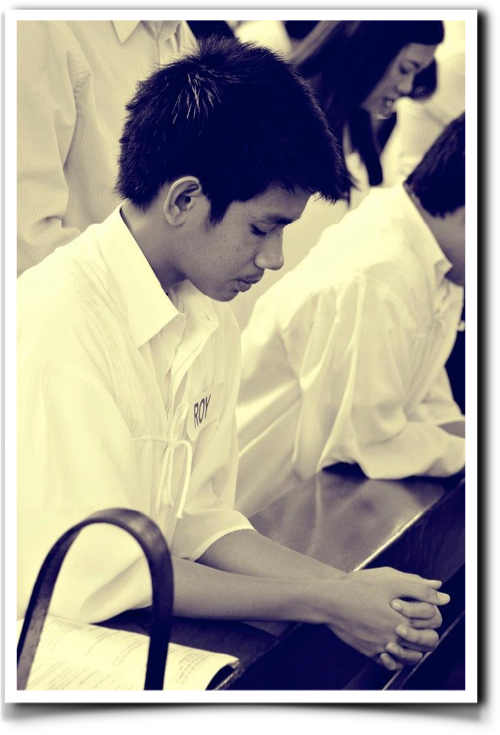 The Junior High School Department’s educational and formative efforts stand on the foundation of the spirituality of St. Ignatius that our Jesuit mentors share to us – the Ignatian Spirituality, key to this is finding God in all things and all things in God. 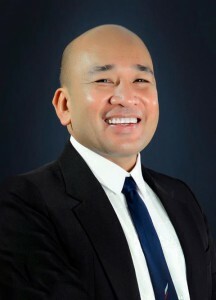 The Junior High School Department of Sacred Heart School – Ateneo de Cebu naturally offers a holistic program developing not just the mind and hearts, but the soul and body of the child as well – curricular, spiritual & character formation and special programs especially in sports and the arts. The curricular programs of the Junior High School Department of Sacred Heart School – Ateneo de Cebu offer the regular prescribed program required for secondary education and much more owing to the fact that our foundations defined and suffused all our efforts. The language curriculum also offers Filipino. At bilang mga Filipino, may diin din tayo sa pagkatuto sa pambansang wika at kultura. 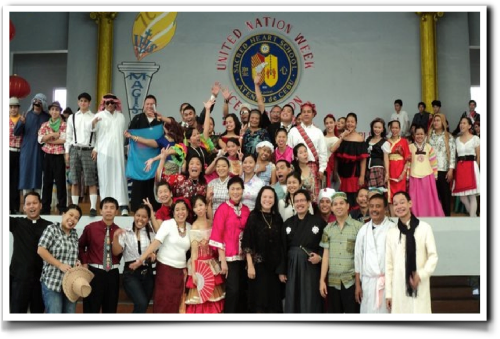 We view our youth and Filipino teachers as “tagapagyaman ng wika at kultura”. And they say, the future language of the world may not be English, so it is to the advantage, a great advantage, of our students that they learn, the pervasively spoken language in the world, Chinese, through our Chinese language program that builds communicative competence. 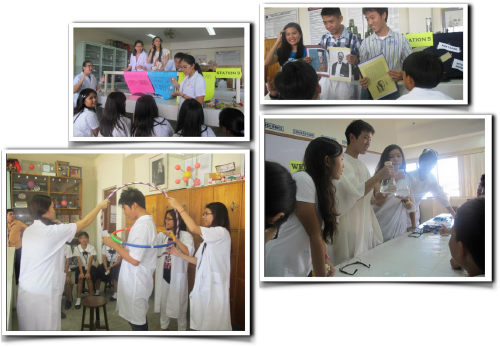 The discipline of Science is emphasized at SHS-AdC, and this discipline strives to connect to life. Science form and mold Ignatian catalysts to quality living – catalysts, or agents for action or stimuli for change. In Math classes our teachers strive to bring action that is always guided by the slogan of iAction: Ignatian Active Critical Thinkers for Innovative Outputs for Nation Building. Central to the Ateneo Hearter’s formation is the forging and nourishing closeness with Christ, which our CLF program helps to foster. To guide our students to become Kindler’s of Christ light to the World (not just to the immediate parish, but true Lux Oriens – light to others) is our CLF program’s call. Forging ahead with the value of compassion, the societal self of the student, our Social Studies program anchors on the work to form Transformative Social Servant-Leaders and mind you it’s not a training to become politicians. “What good is a noble heart, if the body is tearing apart?” This is why our PE & Health area champions the “healthy and fit to lead” program. Our efforts at present necessarily are preparations for the future, and our link or bridge to this future of our students is technology. Teaching and learning is enhanced when we tap into, use the language and medium of our digital learners. 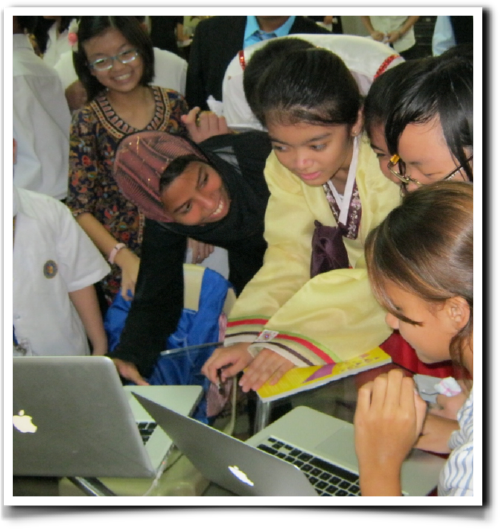 Our ICT teachers embrace this endeavor being exemplars of Ignatian Challenge Takers. The regular academic programs are augmented and further enhanced by special programs in the academics. 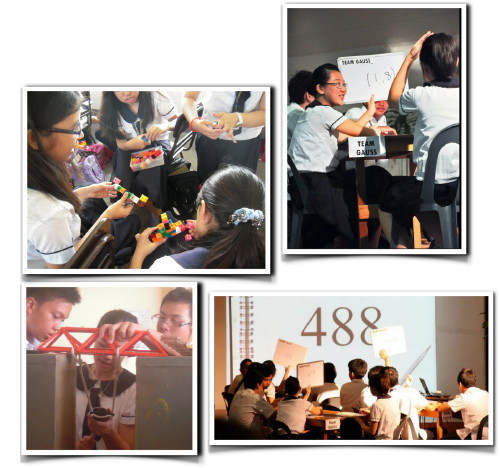 The special programs of the Junior High School Department enable students to be exposed to diverse learning experiences and opportunities to be molded into life-long learners. 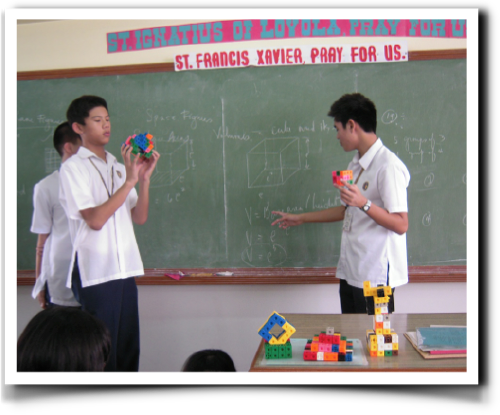 In the High School, we have the Fast-track Math for our advance learners in math and the Magis Mathletes, an after school training program for competitive mathematics. For advance science learners, the Quantum Science is also offered as well as the IYS: Ignatian Young Scientists, also an after class training program to hone scientists and engineers – the next Christopher Go, an international astronomer. 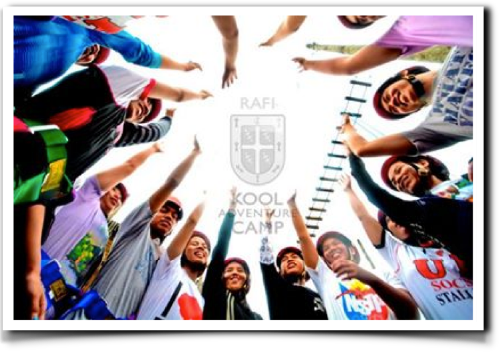 Something to look forward to this school year worth to mention – Adventure Education, experiential project based youth development with RAFI and i3T (technology in learning for our Gr. 10 and 8 students). An Ateneo Hearter imbued with the 7C’s as it’s guiding principle is expected to graduate from the school to become future servant-leaders, and Men and Women for Others.